To schedule an on-site visit to the ATLAS experiment, please contact the CERN Visits Service. The ATLAS Visitor Center has a permanent exhibit with interactive screens outside the Control Room and a 3D movie which explains how the detector works and why the collaboration pursues its quest for fundamental knowledge. CERN also has two permanent exhibitions Universe of Particles and Microcosm that provide unique experiences in understanding the secrets of matter and exploring the mysteries of the universe. An ATLAS Virtual Visit connects a classroom, exhibition, Masterclass, or other public venue with scientists located at the experiment using a combination of video conferencing, webcast, and video recording. It is a chance for the public to have a conversation with the scientists working on ATLAS. To schedule a Virtual Visit, please follow these instructions. The site also features a number of recorded visits from all around the globe in a number of languages. Browse past visits to see what they are like. Take a virtual tour around the ATLAS detector in the cavern, located around 80 meters below ground at interaction point 1 of the LHC. 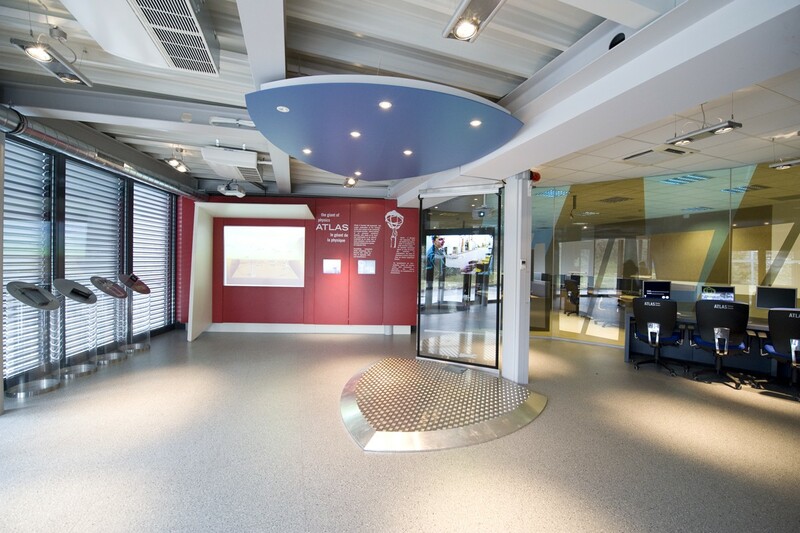 Alternatively, walk around the detector and control room using Google's street view.